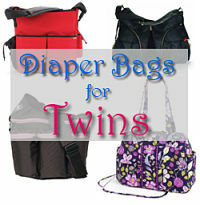 If you ever manage to leave the house with your twins while they’re still in diapers, you’ll need a good diaper bag. Nearly all of the supplies you need to change a baby are essentially doubled – diapers and wipes, spare outfits, toys, everything. You need a diaper bag with capacity! At the same time, you don’t want a suitcase hanging off of your shoulder while you juggle (or chase) two little ones. Finding the right diaper bag that balances space, size, and style isn’t easy. Storage. You need a good-sized cargo area for diapers, wipes, and outfits, plus some exterior pockets for snacks, formula, your keys, and everything else you’ll be toting around. And zippered pockets are a plus. Carrying options. Most diaper bags come with tote straps, but a shoulder strap is a must for parents of twins. 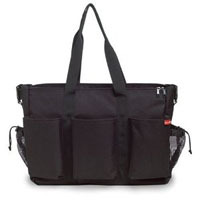 I really like the diaper bags that put extra thought into this and make it wider and ergonomically supportive. Stroller attachment. A shoulder strap, or better yet specially-designed clips, to fasten your diaper bag to a stroller’s handles should be your priority. This frees your hands to wrangle your little ones, pick up discarded toys, you name it. This double-sized version of the popular Skip Hop Duo is designed specifically for parents of twins. It claims to be the only diaper bag that attaches to a double stroller, which is accomplished through clever “shuttle clips” on the bag. 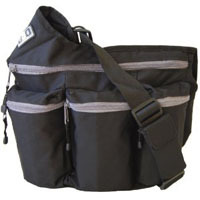 You can carry it by the handles or messenger-style with a long shoulder strap. The magnetic closures, extra cargo space, and sixteen pockets make this an excellent choice for lugging along everything you need to diaper two little ones. Say goodbye to flowery girly diaper bags! This bag, featured in US Weekly, Parenting Magazine, and other places, is designed with the dad in mind. It’s cool, hip, and masculine. And modern, too: there’s a key ring and cell phone holder. 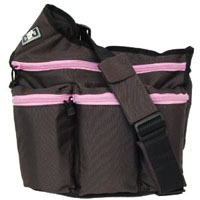 The main compartment has a pouch for diapers and plenty of room for clothes, wipes, and other essentials. Three large outer pockets give you the cargo space you’ll need for two of everything. Here’s the girl’s answer to the Diaper Dude: the Diaper Diva. It’s nearly identical but with pink highlights instead of gray. The same three exterior zippered pockets, large main compartment, and elastic pockets provide plenty of storage for diapers, wipes, toys, food, etc. The shoulder strap is extra wide, adjustable, and has an ergonomic “shoulder-saving” design; that’s a great feature of this diaper bag. -Bottle pocket plus two large elasticized slots in back. 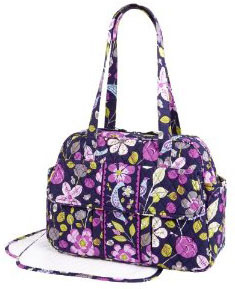 Here’s a stylish diaper bag that you’ll want to keep using as a large tote once your twins are out of diapers! It’s Vera Bradley and comes in dozens of different patterns. It’s made of sturdy soft cotton with reinforced double handles. Easy zip top opening with the ribbon pull, and four exterior pockets of varying size. 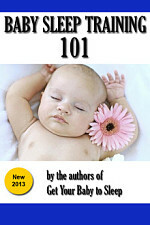 There’s also a large, soft, machine-washable changing pad included. I love the very Brady diaper bags there so cute!